Volunteers make it happen. 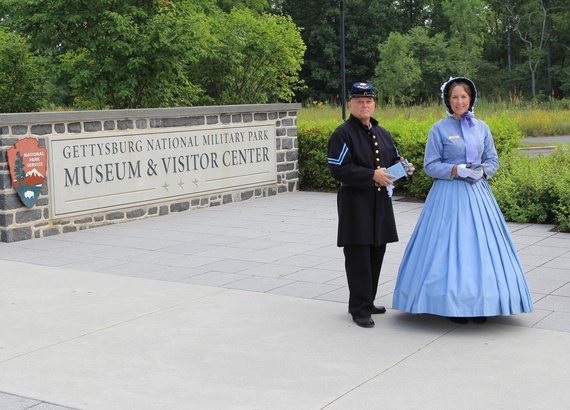 Volunteers play an important role in helping Gettysburg Foundation fulfill its mission in support of the National Park Service. 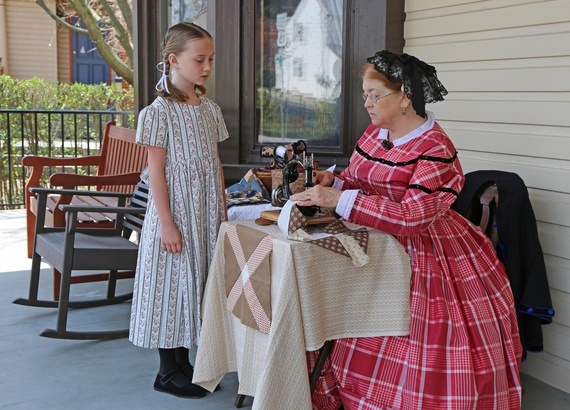 Gettysburg Foundation’s Volunteer Program offers a variety of opportunities from supporting Visitor Services, to helping with clerical and membership support, to assisting at the George Spangler Farm Civil War Field Hospital Site, to working in a historic garden. You can volunteer as little as a few hours a month or more as your schedule allows. No experience is necessary— our only requirement is a positive attitude. 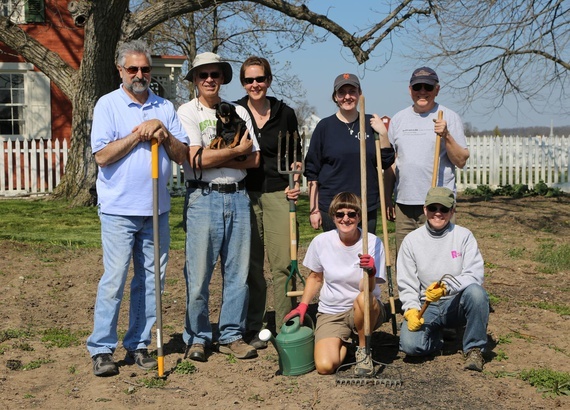 Gettysburg Foundation and National Park Service each have their own unique volunteer program. We recommend you review both to determine what fits your volunteer goals best. You can learn about the National Park Service volunteer program here. Current Volunteers: Click here to login. 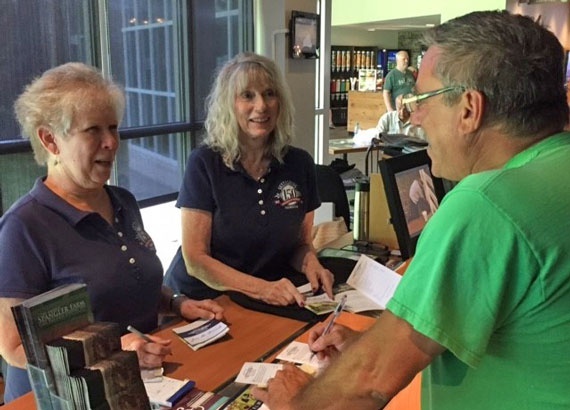 The Friends Desk, located in the Visitor Center, is the place where visitors can join the Friends, and current Friends can renew their membership, register for events or just catch up on the latest happenings with the Friends and Gettysburg. Volunteers participate in meeting and recruiting new Friends, assist current Friends with renewals, and enjoy great conversation. Visitor Services Volunteers work with the Visitor Services staff to accommodate guests as they experience the Gettysburg National Military Park Museum & Visitor Center. This position reports to the Visitor Services Assistant Manager. 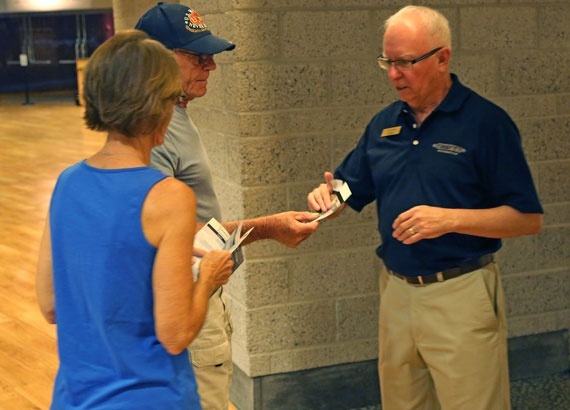 Roles may include lobby greeter, group greeter or theater usher. Depending on the position, volunteers may be stationed indoors or outdoors. 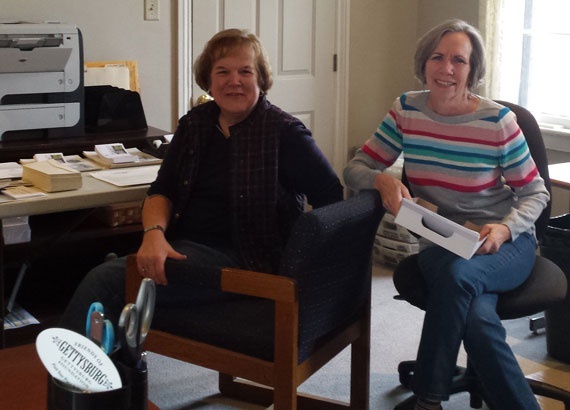 Friends of Gettysburg Foundation Fulfillment Volunteers help the Foundation’s Philanthropy Office communicate with Friends of Gettysburg. Duties for this position, located at the Rupp House History Center, include helping in office administrative tasks such as assembling mailings, filing and data entry. Rupp House Volunteers are the face of the Friends of Gettysburg, representing the Rupp House History Center. This position reports to the Rupp House Coordinator. Duties include greeting visitors, answering questions, maintaining a clean and organized atmosphere in the Rupp House History Center, completing sale and return transactions, and soliciting new members. 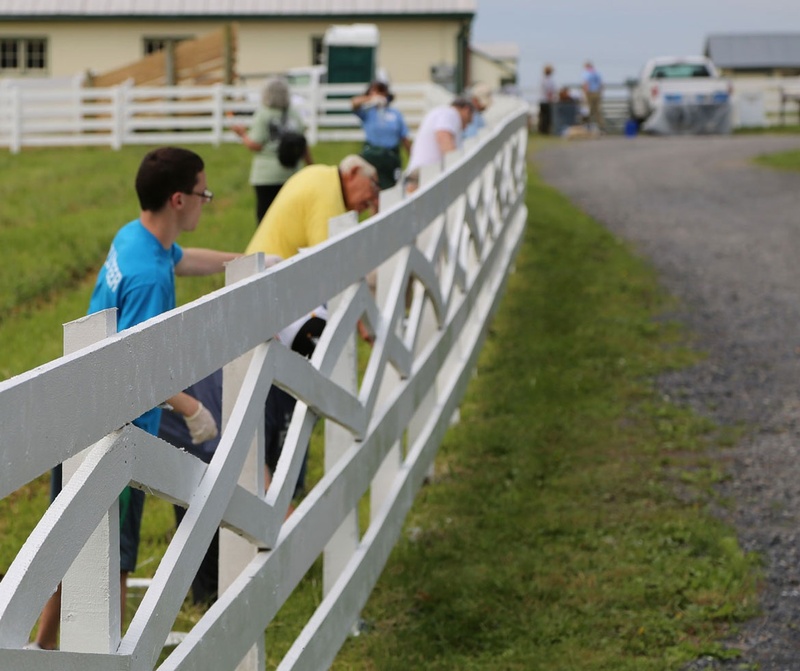 Event Volunteers work on site in support of one of Gettysburg Foundation's special events. This position reports to the Events Coordinator. Responsibilities may include setup, traffic control, table host or other duties as they become available. Sherfy Garden Volunteers assist with planting, weeding, watering and harvesting vegetables throughout the spring and summer months. The food is donated to the Gettysburg College Campus Kitchen and local food pantries. 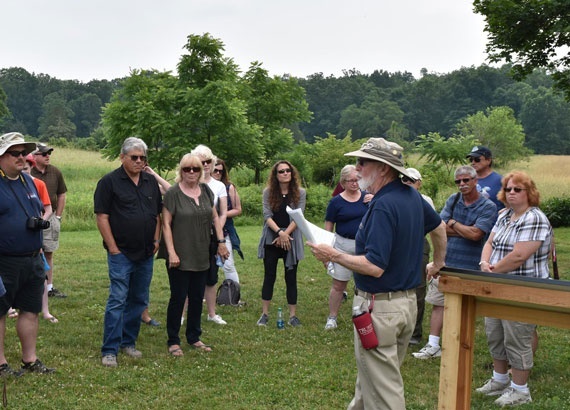 Spangler Farm Volunteers greet and welcome visitors to the farm, provide a general orientation to the site and assist Gettysburg Foundation staff with interpretive programming.